With 2017 just behind us, it is an opportune time to take stock of the key changes the retail industry faced this past year and reflect on what trends will continue to shape retail in 2018. Let us first take a step back and look at 2017. It was a year filled with headlines about the significant changes happening across the retail industry and the growing list of established retailers like Toys R Us and BCBG Max Azria filing for administration. Amazon’s acquisition of WholeFoods, JD.com’s investment in Farfetch and the most successful Black Friday on record, which marked the first time ever that online was the most popular choice for shoppers, made it clear that traditional retail is facing seismic disruption. 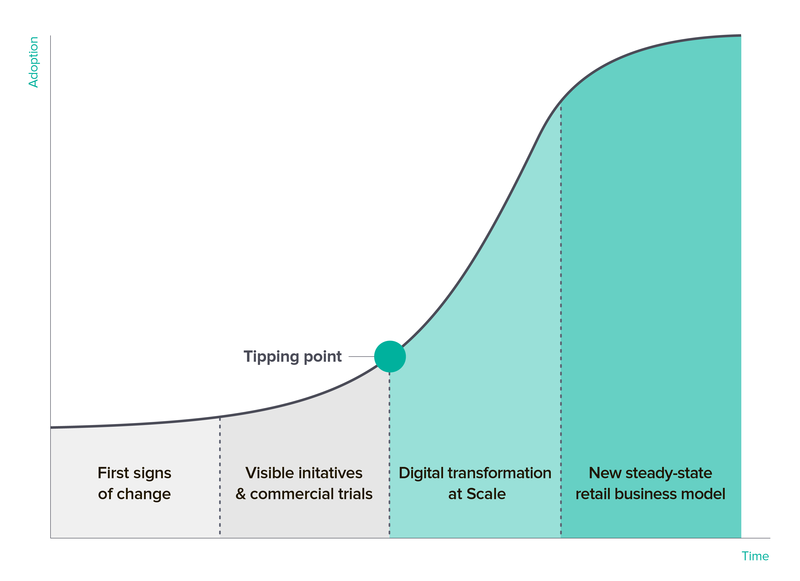 We believe that after a few years of procrastination, in 2017, the traditional retail industry reached a “tipping point”, a point of no return, on the road to digital transformation. The industry now understands that physical retail can no longer be in “the defence mode” but instead needs to be unified and “collaborate” with online. Offline retail needs to bring fundamental changes into its business model, and it is technology that is driving this transformation and already affecting all aspects of the business. 2017 proved that traditional offline models need updating. A number of established retailers have either filed for bankruptcy or announced that they are planning to close a significant number of physical stores. Customers and their expectations have changed – they are already multi-channel and digitally savvy. They are not satisfied with the traditional in-store experience, which is often purely transactional and requires a great deal of time and energy in order to find the right product. Customers seek a frictionless shopping experience and have therefore switched to more convenient online shopping or to those offline retailers who are focused on service, experience, and loyalty, and provide a true omnichannel journey. 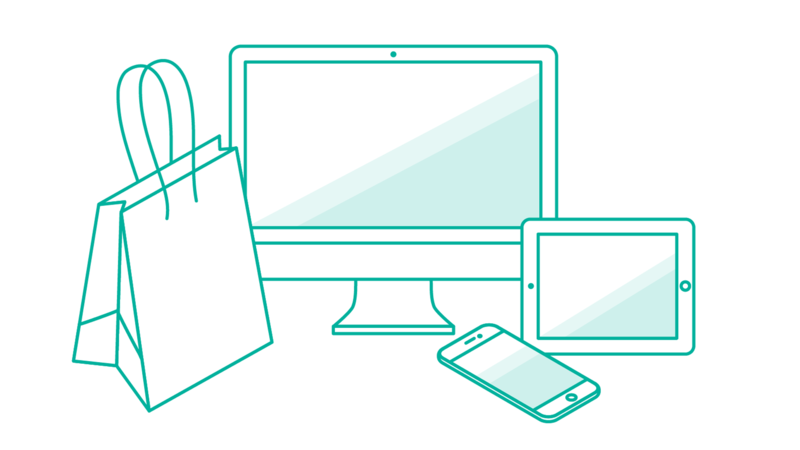 Customers still enjoy and prefer offline shopping, but they are looking for something more than just a stack of products with no service around it. In previous years, retailers were passively observing what technologies would catch on. What was unique to 2017 was that retailers finally moved into “action mode” and started to embrace digital changes rather than fear them. In-store technology is now at the top of most CEOs agendas, who see it as both a short-term effectiveness tool and a long-term business transformation enabler. And we are no longer only speaking about the early adopters, but rather the retail industry at large. The time of “baby steps” is over. Almost all retailers have already started implementing new in-store technologies or allocated resources to do so in 2018. If the time before “the tipping point” is all about observing, preparation and early initiatives, the time after that is about accelerated change and transformation at scale. As a result, we believe that 2018 will be a year when most of the retailers will start changing the way their offline retail business works, and it will impact both the customer experience and how the business operates. Scale does not necessarily mean complexity. On the contrary, in 2018 retailers will utilise technologies that are easy to implement and can deliver the most value in the shortest time frame. To understand what those are, we simply need to look at the intersection of needs and capabilities – at what customers like about shopping online, and which “assets” retailers already have but don’t use in the offline world yet. What will come first is content, data and knowledge. Online allows customers to discover products easily and immediately provides them with the necessary information they need to make a purchase decision. This is what retailers will be bringing into offline as well. For example, equipping sales people with mobile tools so they can instantly check size availability without walking away from customers, highlight product benefits, or suggest complementary items and alternatives. This will mean a much better in-store experience and offer significant time savings, resulting in higher conversion and basket size. Displaying available in-store products on the digital screen with easy to use filters for category, size, and color, helps customers to find the products that they are interested in much faster. Quickly filtering through products allows customers to avoid being overwhelmed by hundreds of SKUs hanging on the racks that are not relevant to them. Essentially, retailers are able to leverage the efficiency of technology while still allowing customers to touch, feel, and try on in-store. Real-time stock availability check, alternatives suggestions and convenient search via in-store devices means higher effectiveness and increased conversion. Given relative simplicity, most retailers are likely to implement these functionalities over the next 12 months. Retailers will be bringing more data and knowledge into the stores for other reasons too. 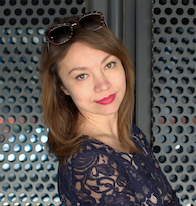 A number of “content” features proved to be extremely valuable in e-commerce, such as personalised cross-sell suggestions, “complete the look” ideas, product reviews, and tips from fashion and beauty bloggers. And now all of that can be leveraged in-store to drive engagement, improve loyalty, and increase the basket size. Depending on the retailer’s business model, this knowledge will be brought into the hands of sales people to support in-person interaction or to self-service digital screens for customers to engage with, or both. Apart from easily accessible information and engaging content, there is another significant benefit of online – wider range and better product availability. As a result, by the end of 2018 most retailers will allow customers to seamlessly buy products “online” if something is missing in the store, thus recapturing lost sales and increasing loyalty. Essentially, retailers are now sitting on the pile of data, product knowledge, and accessible online inventory. In 2018 they will finally utilize it across the physical stores, bringing it into the hands of sales people and customers at the moment they need it most. At the same time, none of the above requires behavioural changes yet, neither from the customers, nor from the store staff, but instead it simplifies the existing processes and enhances the existing journey. This means that those technologies will be welcomed and adopted easily. Rolling out step 1 initiatives will mean in-store sales will increase through more effective and engaged sales staff and a better customer experience. But it will also mean creating a digital backbone, an infrastructure for further changes that will result in the new role of physical stores. What we mean is the following. Stores are still perceived mostly as “transactional” places, places to buy. But the truth is when customers know what they need and trust the brand, online is much better for simply completing a transaction and getting a product. But it is the offline interaction that enables discovery, generates new demand, builds relationships and provides an experience that cannot be replicated online. Amazon’s move towards offline via acquisition of Whole Foods and opening physical stores is a strong testament to that. True omnichannel retail means that each channel focuses on what it does best – for offline, it means service and experience, and for online, fulfilling the transaction. For Sales people, it will mean that they will be playing a more important role, focusing on understating the customer’s needs, offering trusted advice, and acting as the link between the brand and customer. At the same time, it will be much easier to deliver that. Equipped with digital tools, sales people will have all the necessary knowledge at their fingertips, allowing them to focus on “people reading” and building better relationships with customers, rather than on memorising the product range or styling options. The above will affect HR and Training practices as well. The need for old school product training will become obsolete as all the information will be transmitted to sales people automatically and in real-time. With the help of digital tools, the Head Office will know much more about the behaviour of sales people, and will be able to train staff accordingly. The Culture and Incentives will be affected as well. Store staff will be rewarded for creating better customer experiences regardless of where the transaction takes place. The Head Office will be able to see in-store interactions and track if those have resulted in an offline or online sale, both now and later, through email subscription or Instagram follow. We won’t see all these changes happen in 2018, but with the first stages of in-store technology already in place e.g. sales assist, ordering online, and seamless checkout, retailers will be well equipped for more transformative developments. With the digital tools in place in the physical stores and focus on providing an omnichannel customer experience, retailers will find themselves developing a new organisation with totally new capabilities. At the forefront of this will be new data and AI capabilities. “Digitising” stores will bring two things. Similar to how online behaviour is captured and analysed, in-store behaviour will be captured, analysed, and utilised. 2.) Data will be channelled to stores in real-time and AI will affect sales instantly. If the weather turns cold, it makes sense to highlight the appropriate products both for sales people and customers. If a product is a best-seller, loyal customer following that piece online should know about it. If a jacket comes with a skirt that pair well together, it makes sense to offer it with an “outfit discount”. If a store serves mostly office workers during the weekend and tourists on weekdays, cross-sell and styling suggestions should reflect that. Some of it already works online, but with digtial tools in place offline can leverage those capabilities as well, transforming the way the business is run and turning stores into truly personal touchpoints for its cusotmers. As we can see, the retail industry is not just embarking on a transformation journey, it is already underway, reshaping the shopping experience and the role of physical retail. It’s not optional and it affects all the parties – from online to offline, from marketing and store operations to buying and HR. Inevitably, as with any industry transformation, there will be winners and losers and the landscape will likely change. Therefore, retailers need to take action and use a balanced approach – scaling quick wins effectivelly to improve the existing business, while preparing infrastructure and organisation for the larger transformation.